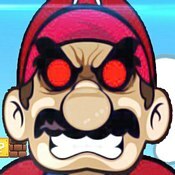 Description: Unfair Mario is full of all kinds of troll traps and spots where you will end up dying. Its really unfair, but you chose to play this game so deal with it and have fun! Game Controls: Arrow Keys = Move. Space Bar = Jump.